Our most recent recording is an album called Mala Junta. You can buy it online on cdbaby. 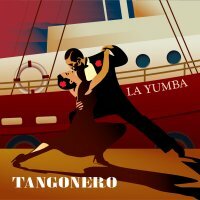 The album covers the broad scope of tango history, from traditional dancing repertoire (La viruta, Quejas de bandoneón, Recuerdo) to more modern arrangements (Mala junta, Ensueños, Yunta de oro) to concert pieces by Astor Piazzolla (Angel suite, Ausencias), to intimate vocal canciónes featuring singer Claudio Ortega (Naranjo en flor, Sur). 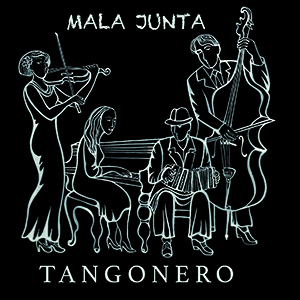 The tangos are complimented by the waltz (Caserón de tejas) and the milongas: the "regular" milonga ciudadana (Silueta Porteña featuring Claudio Ortega, and Corralera), as well as milonga campera pieces (Milonga del ángel, Ausencias). Despite the variety of the material, all the tracks are united by the unambiguous tango character. Please consider supporting us by buying the album, reviewing it after you had a chance to listen, and staying in touch while we're working on our next record! 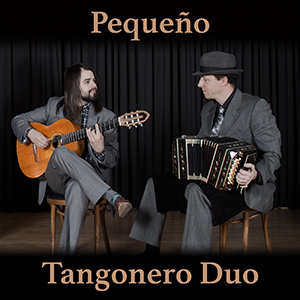 The album presents guitar/bandoneon rendition of tangos, milongas, and waltzes in an intimate setting, joined by the amazing Claudio Ortega on the vocals. This is the last recording done with Zac Selissen before his departure to the East Coast. Our first album La Yumba is available online at cdbaby, both as a physical CD with the jewel case, jackets, and really nice artwork, or as a digital download. The album is also available for sale at our shows, so if you are in town, please feel free to stop by!